Mark Hamill continues to troll Donald Trump as ‘The Trumpster,’ his Joker-voiced supervillain, this time reading the president elect’s tweets about actress Meryl Streep. 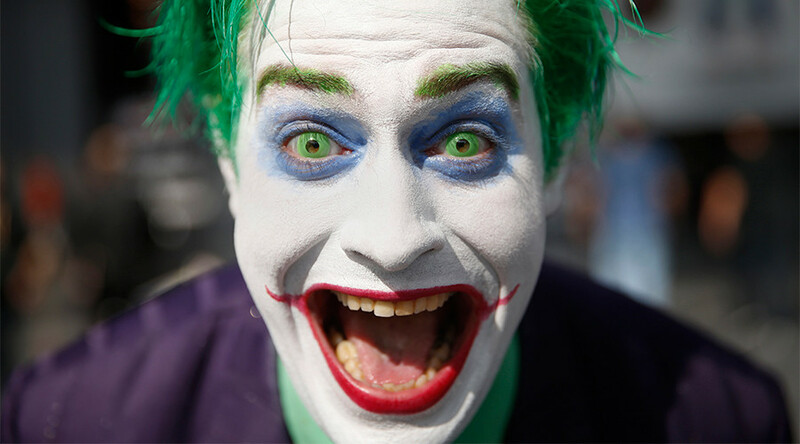 Hamill debuted The Trumpster last week when he first read Trump tweets as the Batman villain The Joker, who the veteran actor voices in movies, cartoons and video games. On Saturday, The Trumpster returned, this time sharing audio of himself reading the president elect’s volley of Tweets aimed at “overrated” actress Meryl Streep who was critical of him in her Golden Globes speech. “Meryl Streep, one of the most overrated actresses in Hollywood, doesn’t know me but attacked last night at the Golden Globes,” the Trumpster quotes. Hamill isn’t the only actor to put his own spin on Trump’s tweets. Voice over artist Billy West, who plays the inept Captain Zapp Brannigan in Futurama, has been doing Zapp readings of Trump tweets for months now. He even suggested on Twitter that he and Hamill could team up to do a double impersonation of the president elect. While English actor and comedian Peter Serafinowicz has spawned the popular “Sassy Trump” skits.